Karbonn Mobiles on Tuesday unveiled its new Aura Power smartphone priced at Rs. 5,990. The domestic handset manufacturer says it is targeting the “growing 4G subscriber base” with its Aura Power smartphone. The Karbonn Aura Power supports 4G LTE bands in India – FDD-LTE Band 3 (1800MHz), Band 5, and TDD-LTE Band 40 (2300MHz). The smartphone also supports VoLTE (voice over LTE) with HD voice call compatibility, the highlight of the handset. The Aura Power features a 5-inch FWVGA (480×854 pixels) IPS display. The dual-SIM smartphone runs Android 5.1 Lollipop out-of-the-box, and supports 4G on one SIM at a time. It sports an 8-megapixel autofocus rear camera with LED flash, and a 2-megapixel front-facing camera. It is powered by a 1GHz quad-core processor paired with 1GB of RAM. The Aura Power packs 8GB of built-in storage and supports expandable storage via microSD card (up to 32GB). Backed by a 4000mAh non-removable battery, the handset offers up to 17 hours of talk-time and up to 1200 hours of standby time. Connectivity options on the Karbonn Aura Power include GPRS/ EDGE, 3G, Wi-Fi 802.11 b/g/n with hotspot functionality, Bluetooth, FM radio, Micro-USB, and GPS, apart from 4G. It will be available in Champagne and Dark Blue colours. It measures 141×71.2x10mm and weighs 175 grams. 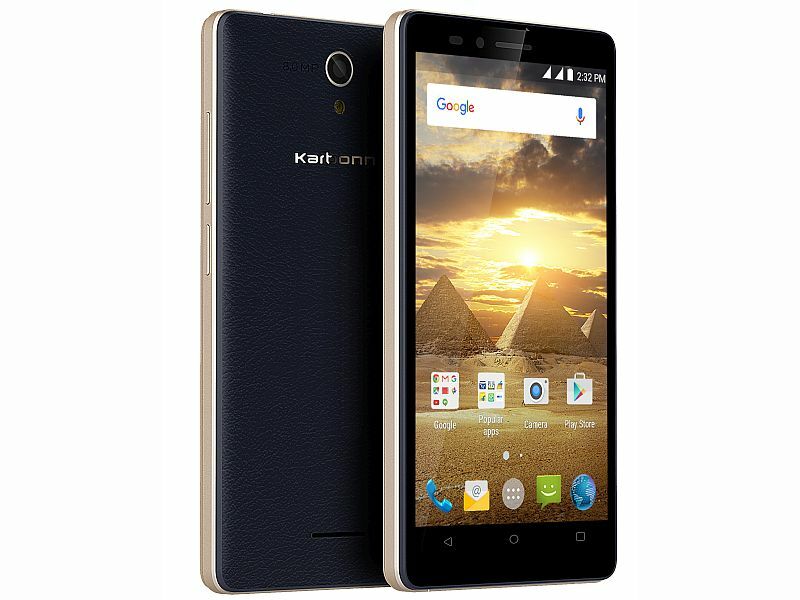 Karbonn Mobiles earlier this month introduced new entry-level Karbonn A91 Storm smartphone. The handset was now listed on the company site and was available to buy via an e-commerce website priced at Rs. 2,899.